I75 exit Big bend. 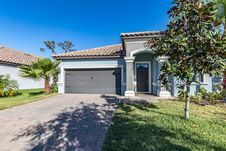 Take big bend all the way down over 301 to you reach Waterleaf community. Take right on Frost Aster and home will be on your right. Hello, I’m interested in 11858 Frost Aster Dr and would like to take a look around. The details on 11858 Frost Aster Dr: This house located in Riverview, FL 33579 is currently for sale for $289,000. 11858 Frost Aster Dr is a 2,073 square foot house with 3 beds and 2 baths that has been on Estately for 7 days. This house is in the attendance area of Summerfield Elementary School, East Bay High School, and Eisenhower Middle School. Listing Courtesy of: MFRMLS and CENTURY 21 BEGGINS ENTERPRISES.